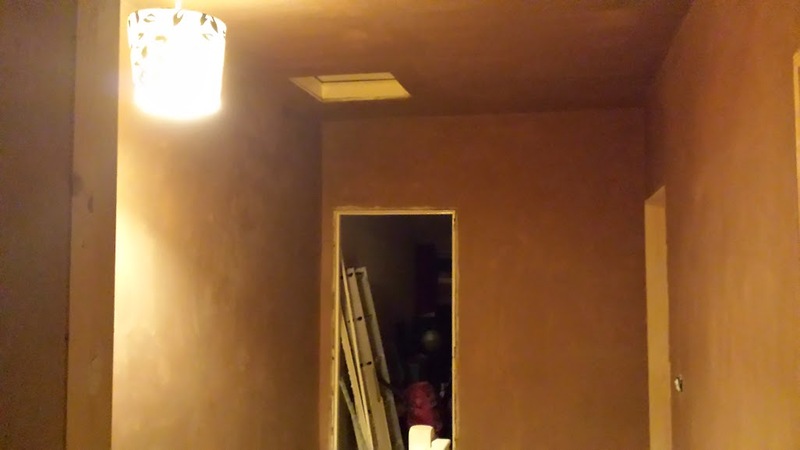 We bought our first ever house in September 2012 and started by completely gutting the property, when Christmas arrived we went to the parents for Christmas and enjoyed the luxuries of their home whilst ours purely resembled a building site. As we entered into 2013 we decided that we wanted Christmas at our house this year. We worked hard through 2013 to get as much done as possible and with a Kitchen and Bathroom and the downstairs 90% complete we held our first Christmas in our new home. As we entered into 2014 the work slowed right down as our finances were in pretty bad shape after pushing the build in the first year. 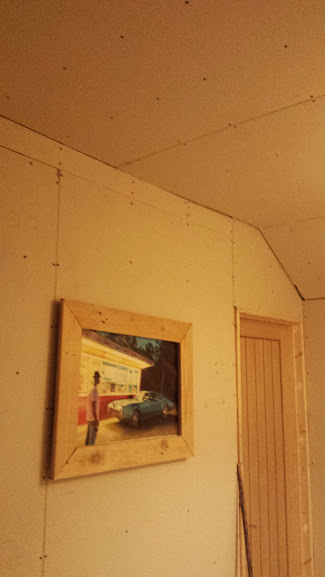 Now each month we get a little more done and slowly the house creeps together. The past three months we have concentrated on getting our bedroom done but with that now 100% completed we move onto the next stage and that's the landing upstairs. 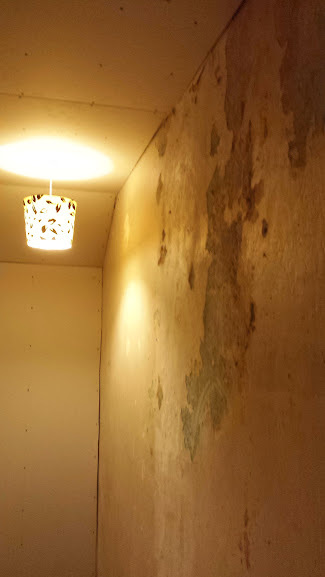 It was over 12 months ago that we made all the changes to the landing upstairs by moving the internal walls to create a wider landing and since then we have concentrated on the master bedroom so the walls have sat with raw plasterboard for the last year. 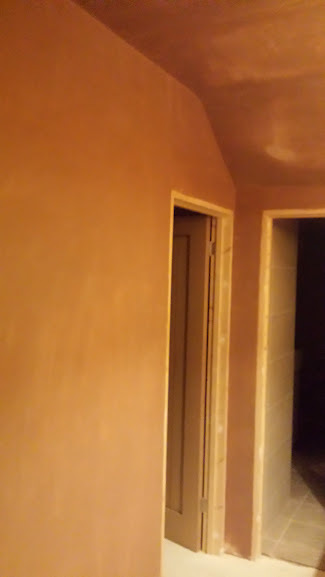 With our master bedroom complete we had to make the decision where to work on next, we were both tempted to work on the next bedrooms but as these will be spare rooms and barely used we decided that the best use of our money this month was to get the landing plastered. 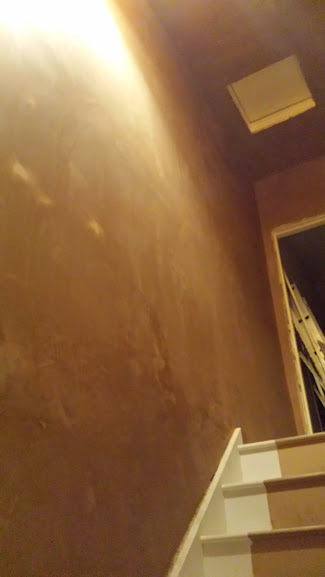 As the wall is exposed at the bottom in the dining room it helps to complete downstairs, and as the new plasterboard also creeps into the bathroom it seemed the best use of our monthly budget as meant we could make a real difference in the whole house. 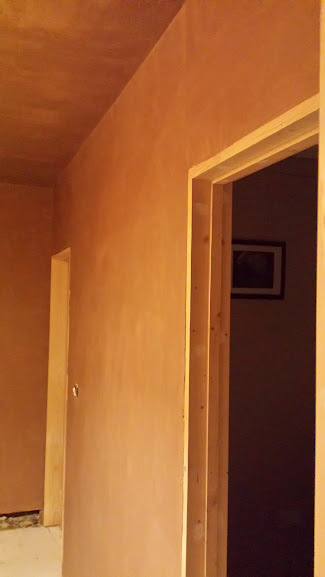 Now we just need to wait for the plaster to fully dry so that we can start painting the walls, once painted we can add skirting boards and architrave to the doors and really complete the upstairs. 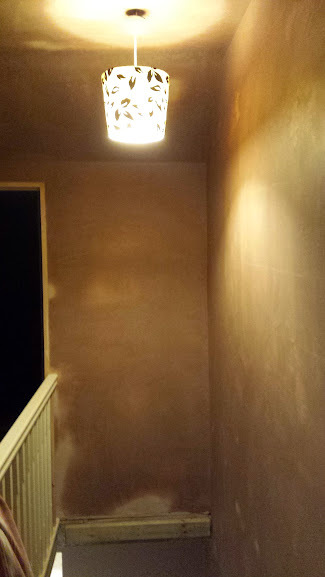 We also want to create a feature out of the landing light and add a giant photograph to the wall. Work will now slow down as our money goes on presents for the family rather than presents for the house but as we enter 2015 the end of the renovation is in sight and with two bedrooms to plaster, decorate and carpet, a landing and stairs to carpet and furniture required downstairs we need to stretch our budget and the work that required but hopefully by the summer we will be very close to having a finished home and can then move onto working on landscaping the garden, the driveway and the house exterior. How to renovate for first time buyers.